A number of changes that were implemented in the last few seasons will continue for the upcoming season, many of which made the In-House program more exciting and engaging, especially for our younger players. A smaller game format will be employed, which enables players to touch and carry the puck more. This format also encourages players to remain active during their entire shift since they are more likely to be near the puck. These changes also comply with guidelines from the USA Hockey American Development Model (ADM), which aims to better develop skills in younger players. Games will be played using half of the full size rink surface. All regular season games will take place on Saturdays, approximately between 7am and 10:30am at Hayden Ice Rink. The ice is split in two by a special divider for the rink with curved boards facing each half-rink. Each half rink will have a referee and timekeeper as before. There will be no off sides or icing, but rules are otherwise the same. Each team will be comprised of 13 players, with each placed on 1 of 3 lines according to ability. Each line competes in 4v4 format, with one person playing goalie each week. The In-House program includes approximately 11 one-hour practices sessions throughout the season to be held either at Hayden or The Edge. These sessions will take place on Friday evenings. The exact times have not been scheduled, but once chosen, they will remain the same throughout the season. Practices will comprise age-appropriate games and activities (developed by the ADM) designed to get players excited about coming to the rink, while also building skill. This should be considered part of the In-House program and is important in the long run for players to enjoy and develop a love for the game. Players enrolled in an LBYH travel team will be able to participate as before. Players on a travel or club hockey team outside of LBYH cannot play In-House. Participation is restricted to players in birth years 2008 - 2013. The In-House season typically goes from November through late February, with a final tournament held in early to mid-March. There may be up to 13 teams in the league depending on the number of players. There are three lines on each team that are arranged based on player age and ability. The more experienced players from one team will play against the more experienced players from another team. Likewise for the less experienced or skilled players. When creating teams, LBYH attempts to place siblings on the same team. ‘Buzzer hockey’ is played with shifts lasting about 90 seconds each, ensuring that all players get equal playing time. Players are given a team shirt, which is theirs to keep. The league provides goaltending equipment for each team, which is made available for any player who chooses to play that position. Referees and a timekeeper are provided for each game. All players are required to have a valid USA Hockey registration. You can obtain a valid USA Hockey registration at http://www.usahockeyregistration.com. There is a $48 fee for a USA Hockey registration. The price of In-House will be $375 this season. 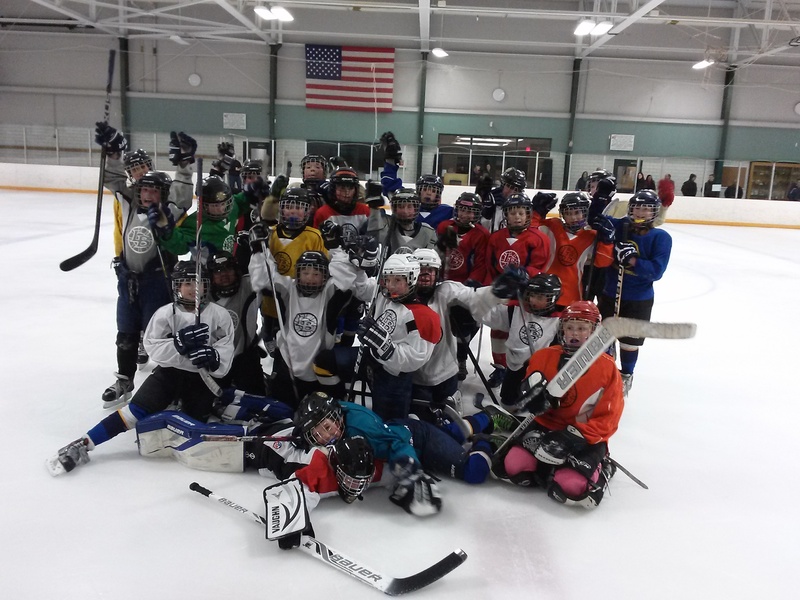 It is STRONGLY recommended that players have some skating experience (either having taken the Hayden Learn to Skate or Intro to In-House/Learn to Play Hockey clinic through LBYH) before the start of the In-House season. The Intro to In-House/Learn to Play Hockey clinic is a new program offering by LBYH that consists of two 11-week sessions: Sept 9-Nov17 and Dec 1-Feb, every Saturday from 12:45-1:30pm at Hayden Ice Rink. The cost of the clinic will be $180 per session. Clinic information and Registration can be found on the LBYH.net homepage under the Intro to In-House Clinic tab. Parents with questions or concerns regarding these changes should feel free to contact the In-House coordinator ( ) or any LBYH Board members before registering players. As always, LBYH In-House League is all about having fun. Good sportsmanship, fair play, and having fun are emphasized.